Make a difference in your safety signage. 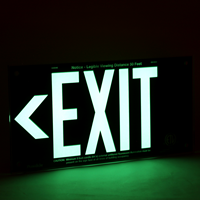 A bold black background showcases this high-density, photoluminescent Exit sign. 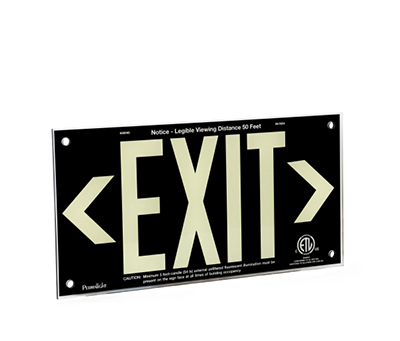 • Match your upscale office or establishment with high-quality, elegant acrylic Exit signs. • A solid-colored background is set behind high pigment-concentrated, photoluminescent letters that absorb and store light. 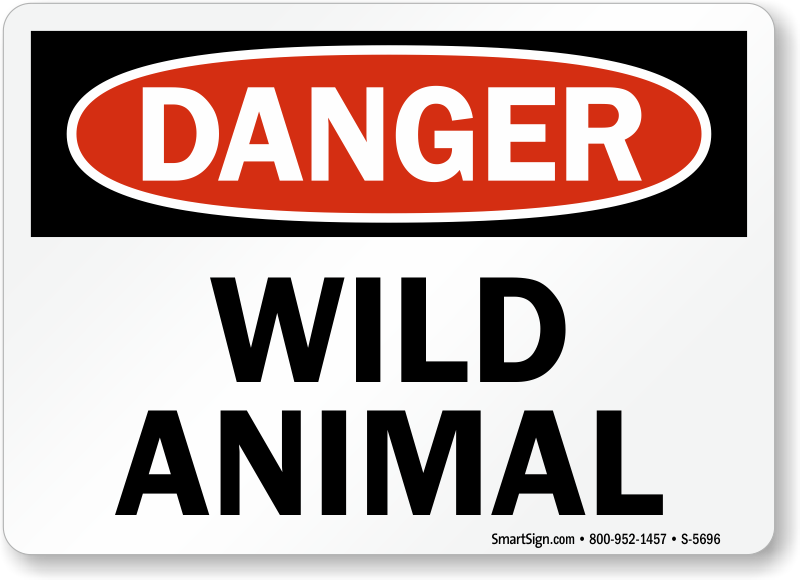 • Every sign includes four pre-drilled holes; add four stand-off barrels for an effortlessly sturdy mount. • Arrows must be pre-selected upon purchase. Choose your arrow designation from the drop-down menu above. • Acrylic panel has an elegant design which is great for offices, hotels, banks, etc. The background is nontransparent and has photoluminescent directional indicators. Directional indicators must be selected upon purchase. These do not come with punchout options. 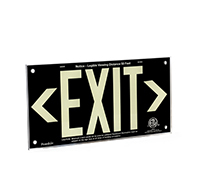 • Exit sign is NFPA, IBC and state building code compliant. • UL924 compliance test was performed by ETL Intertek Testing. Sign is compliant for both the US and Canada. 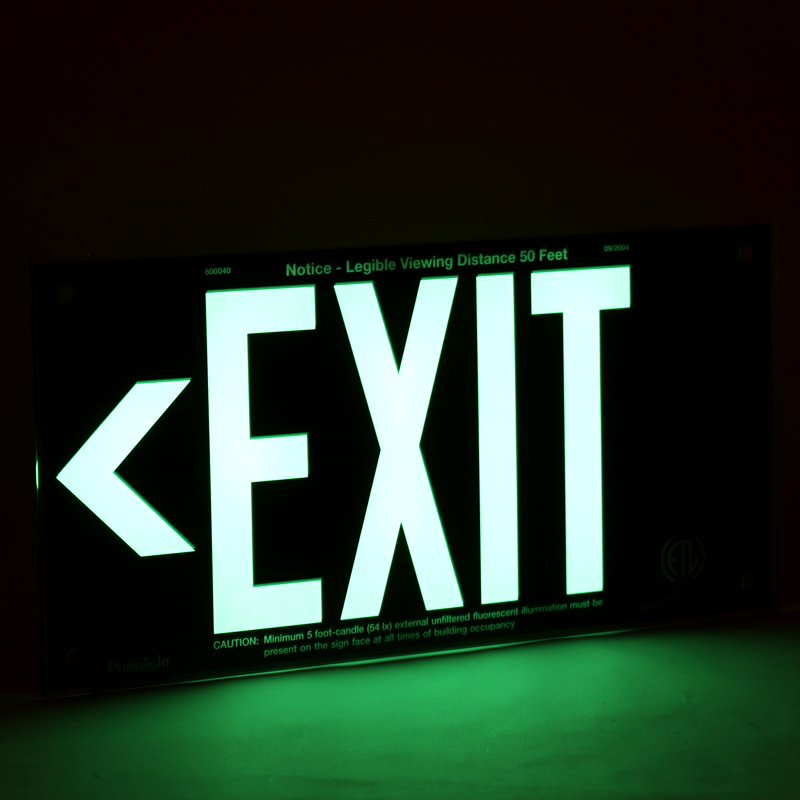 • Exit sign can be seen from up to 50 feet away. • Photoluminescent activation requires a minimum of 5fc or 54 lux of fluorescent lighting. 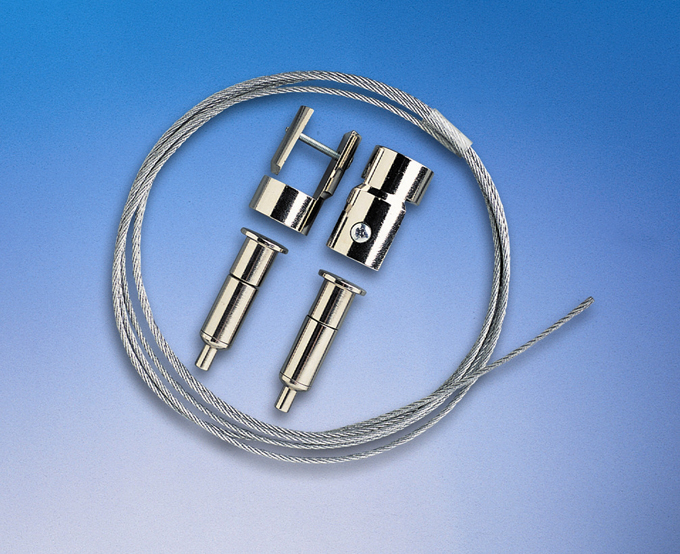 • Comes with pre-drilled holes allowing for mounting on a wall or from a ceiling. Hardware sold separately.